The Nevada State Athletic Commission has released the official salaries for all of the contestants who competed in Saturday’s “UFC 170: Rousey vs. McMann” event. 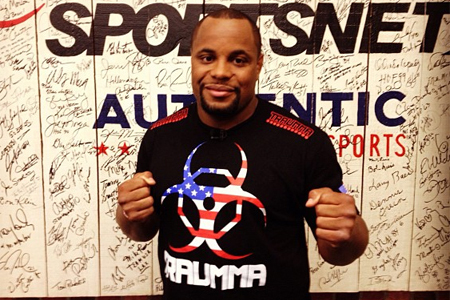 Despite competing in the show’s co-main event, Daniel Cormier (pictured) was the night’s highest earner with $160,000. Half of the light heavyweight’s paycheck came from beating Patrick Cummins. Cummins scored just $8,000 in his big league debut. UFC bantamweight queen Ronda Rousey, meanwhile, pocketed $110,000 for TKO’ing Sara McMann in the card’s featured attraction. McMann made $16,000. Don’t worry about Rousey’s payday, she will also receive a piece of the pay-per-view pie. However, that figure will not be disclosed. Mandalay Bay Events Center in Las Vegas hosted Saturday’s event (courtesy of MMAJunkie).